After nearly a year of being touted around venture capitalist firms, private buyers and competitors with the funds to acquire them, BlackBerry bosses have finally admitted that the for sale signs are up at the Canadian Company. Many believe that they are doomed, but here we argue that BlackBerry could, maybe, be saved. I believe that there are 5 things that a new owner would have to do in order to save this organisation. BlackBerry’s bankers – JP Morgan Chase & Co and RBC counted amongst them – became alarmed at the rapid deterioration within the company. The BB 10 operating system has been a dramatic and largely expected failure for many, but the BlackBerry bosses had essentially staked theirs and their company’s future on that being the game-changer. However with the BB 10 OS being largely uninspiring, not to mention their new flagship smartphones, the company have continued to take a severe beating at the hands of Samsung, Apple, a resurgent Nokia and a raft of other mid-tier manufacturers. BlackBerry have played their 2013 hands early, and with the market quiet at the moment in anticipation of what Apple will release in September and Samsung in October/November, it’s hardly likely that things will pick-up for BlackBerry. It was with this sense of realism that JP Morgan and RBC began touting BlackBerry around. It’s unlikely that the total lack of interest from any of their targets – with the private equity funds said to be the least interested of the lot – is unlikely to have done anything to boost the bankers confidence in the company. Therefore, yesterday things escalated. With the private talks failing to garner interest, a change of tact was needed. No company will willingly state that they are looking to exit, after all kits is hardly the strongest of negotiating positions, so this can be taken as a desperate move, most likely forced by the company’s indebted bankers. So on the back of a special committee meeting, which saw the company’s largest shareholder step-down, BlackBerry announced that they are now ‘evaluating all options’. Whilst ostensibly they are willing to look into joint ventures and partnerships, this is really a push to move the company on. Essentially, the company stakeholders – with the banks being the critical element – have lost faith and want out. Many would argue that the company is too indebted, too far down the road, lacks a compelling product road map and is built on shaky software – software which is horribly out of touch with Android and iOS. Such an argument could be made quite compelling, but i actually think the company could be saved. Their largest stakeholder has stepped-down from the current board, which is likely to indicate that he is investigating the options around taking the company private. It is here that i believe Blackberry could, at a real push, be saved. As a private company, they could be revitalised. Their accounts could be kept private, their sales figures could be taken out of public view – for now at least – and they could go away and concentrate on building smartphones that will sell. They have an immense amount of catching up to do. The decline began the very day that Steve Jobs launched the iPhone. That day, they were caught napping, caught feeling invincible as they sat at the very peak of their powers. The iPhone was a true game changer, demonstrating the late Steve Jobs at his very finest. Being slightly blindsided by that device for a while is almost forgivable, but what was less so was their reaction. As they slipped into oblivion with no notable innovation, no new ideas and no recognisable product map. They just kept pumping out big lines of copycat BlackBerrys’ with nothing to differentiate them from each other. Take away the prying eyes and build the foundation of another successful company. To an extent, they need to go back to their routes and focus on where their brand still carries sway. The company need a visionary leader who can work some magic around Blackberry, backed up by some stellar funding. The decline at BlackBerry was certainly not helped by the company losing sight of their target market – businessmen and women. As things really started to deteriorate, they started chasing the market, looking for user cases which they could then painfully try to latch on to. A by-product of their price cut strategy, allied with the BBN messenger being a free way to text other BlackBerry users meant that they found pockets of demand amongst lower-income teenagers. When the London riots of 2011 kicked off, the BlackBerry name was pulled through the ringer. How did it come to be that a smartphone that was once synonymous with the boardroom had come to be the riot in-sighting tool of Britain’s chavs? BlackBerry need to go back to the business market – a market who still hold the Blackberry name dearly. They need to cut the clutter and go straight after the people who are ready to spend good money on a BlackBerry. The fact that they tried to cut their prices to make their phones appeal shows the sheer folly of their strategic thinking this decade. Business people have their phones purchased by their company’s – they are not interested in saving £50, they and their company’s are interested in features that aid their work. Nail that, and the company will pay handsomely for it. 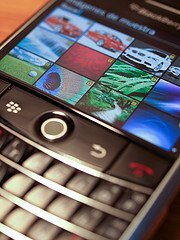 The BlackBerry niche is as a top-tier business specific phone, with a target market of organisations. Quite frankly, the time has come to take a long look at whether BlackBerry should be making both hardware and software. In an age when you have thousands of people at Google working on Android software alone, it is a real challenge to do both. Sure, Apple do, but the foundations of that company are quite different to those at BlackBerry – for now at least. A customised android platform would surely allow BlackBerry to focus their resources better and to work on delivering a great piece of hardware. From there, they need to nail the next BlackBerry smartphone. They need to find the holes in offerings from the likes of Samsung and Apple, but more specifically, the holes from a business users perspective. Nokia are revitalising their brand around high calibre camera-smartphones, such as their 42 MP Lumia. Apple have never quite managed to shake the perception that their devices are better for media consumption rather than creation. Herein seems to lie an opportunity. Historically, the BlackBerry phones that have succeeded have been their traditional QWERTY keyboard devices. These keyboards offer faster and more accurate typing than any touchscreen, making them better for work related email and document creation. Could this be allied with a larger phablet design – making the keyboard even easier to use and the screen larger for creating documents beyond email? BlackBerry have spoken before about their belief that tablets are just a fad, and that the future is all about the mobile. Why not look to create a great phablet, with QWERTY keyboard, which can seamlessly sync with and power other innate screens? This would allow the businessman to carry a super-powerful mini-computer in their pocket, replacing their need for a tablet on the move, and allowing them to access all of their documents anywhere in the world? When Steve Jobs made Apple great, he did so on the back of an extremely thin product line. Many believe he would turn in his grave at the way that Apple have subsequently grown their product base. Simple and thin lines of products dramatically cut manufacturing costs. Don’t offer two versions of one phone, don;t offer different sizes and other relatively useless (from the sales driving point of view) features. Create one great smartphone, dedicating all of their biggest and best minds to it, and execute on making one device that actually makes me think twice about buying the iPhone 6S this time next year. 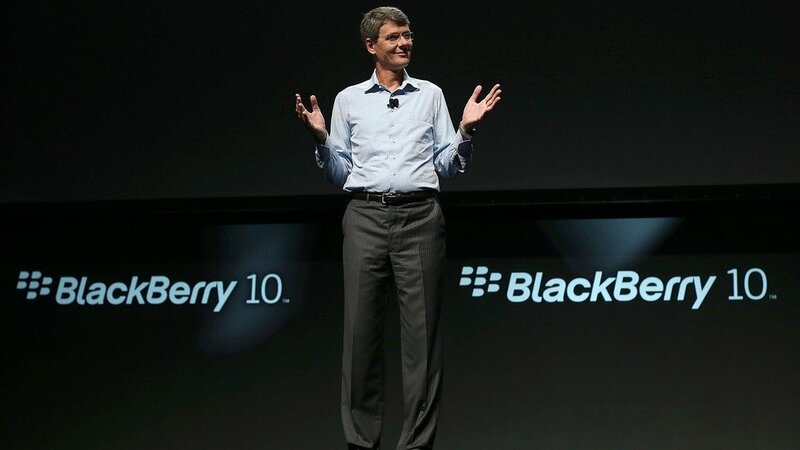 BlackBerry went big around BB10 and the new Q10 this year. However there were two main problems. 2) The ad spend was untargeted and thus unnecessarily costly. If BlackBerry could execute on the above four points, then they would have one single device that they could throw the marketing kitchen sink at. From there, they will not have a device with a huge target market, instead they will be able to laser focus on the business community. This level of precision and targeting in their marketing will deliver much better results, but even more critically, the phone would back it up. Can BlackBerry be saved? The odds are hugely against them, but they do still hold some strong cards. they may not be aces, but i still feel that a top-tier business visionary could work some minor miracles with this brand.